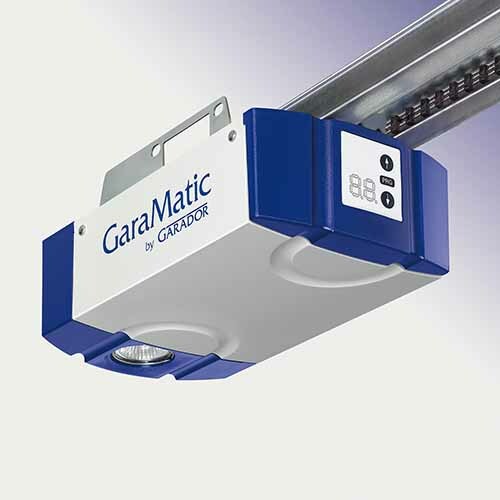 The GaraMatic 10 is a secure and reliable automatic garage door operator. It boasts a smooth and quiet action and innovative b-directional radio technology, meaning you can open and close your door from further away. This operator comes complete with 5 button and 2 button hand transmitters, so you will not have to leave your car to operate the door. Like other GaraMatic models, it comes with an integral anti-burglar device as standard and complies with the latest European safety regulations.